After spending hours in front of your keyboard, you’ve finally finished a new post for your company’s blog. You think it’s great, and you can’t wait to see it start racking up comments and shares. You hit publish, and wait for your new blog post to take off. Oh no! You forgot to do something important. In the rush to hit publish, it’s easy to forget some essential steps. Forgetting these steps can hold your blog posts back. Worse, you could even hurt your business’s reputation. Before you hit publish on your next post, check to make sure you’ve done these 15 essential things. You may love your new blog post, but will your audience? Your blog posts need to resonate with your audience. Posts need to answer your audiences’ questions and solve their problems. If your posts don’t do that, you’re not ready to hit publish. Revisit your post and ensure it will resonate with your audience. 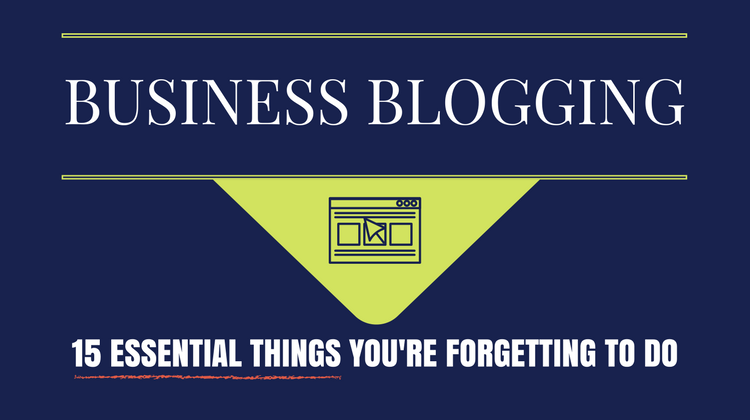 Your blog posts won’t do your business much good if nobody can find them. Optimizing your posts for search engines is a big part of getting your posts seen. If you’re using WordPress, the Yoast SEO plugin can help you optimize your posts for relevant keywords. The goal of your headline is to get people to click on your post and start reading. This is harder than it looks: 80% of visitors will read your new post’s headline, but only 20% will actually finish reading your post. Before you hit publish, make sure you have a great headline, not just the first headline that came to mind. The same headline formulas work over and over again, so there’s no need to reinvent the wheel. 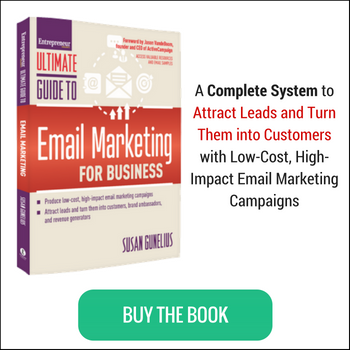 As a business blogger, one of the goals of your blog posts is to get more leads. To get leads, remember to add a call-to-action to your posts. After reading your post, your readers may not know what they should do next. If you want them to download your ebook, call your company, or take some other action, you have to tell them. Blog posts should always have an appealing photo. That’s because posts with images get a whopping 94% more views than posts that don’t have images. By forgetting to include a photo, you could be missing out on a lot of readers, leads, and ultimately sales. Your blog can help increase your business’s authority and set you up as an expert in your field. But, that’s only if you’ve got all your facts right. Factual errors in blog posts are a big deal. If you have incorrect statistics or poorly researched facts in your posts, your readers could lose trust in you. This could damage your business’s bottom line. Before you hit publish, double check all your facts. Did you do any research when you were writing your blog post? If so, you need to cite your sources. Fortunately, citing sources in a blog post isn’t as hard as citing sources in a college paper. You just need to add links within your content to direct readers to the sources you used. Readers can click the links to see where you got your information. Blog posts need links to outside sources, but they also should have links to your old posts. You’ve written a lot of blog posts by now, and some may be relevant to your new post. Within the body of your new post, add some links to relevant older posts. Linking to old posts encourages readers to spend more time on your site. Internal links are also good for SEO. When you add links to your blog posts, you need to be sure those links actually work. Click all your links to make sure they take readers to the right places. If you’ve included links to the wrong sites, or if your links take readers to a 404 page, readers could lose trust in you. Conclusions are easy to overlook, but they’re very important. If you forget to add a conclusion, readers may be confused when they get to the end of your post. They may be wondering where the rest of your post is or what they were supposed to take away from the post. Spelling or grammar errors in your posts can harm your business’s credibility. Carefully edit your posts to make sure there are no errors. Publishing error-free posts gives your readers a good experience and helps you look knowledgeable and trustworthy. Reading is harder online, so you need to carefully format your posts to make things easier for your audience. To make your posts easy to read, use formatting elements like lists, line breaks, and headers and sub-headers. Your readers will be able to scan your post to find the information they want quickly. Categories and tags make it easier for readers to navigate your site. Categories and tags group related posts together. If readers like your new post, they’ll be able to quickly find posts about similar topics. A blog post that looks great in the text editor may not look quite as nice on your website. Before you publish a post, preview it. If you see any formatting errors, you can fix them before your post is live on your site. It’s very hard to edit your own work. This is because you know what you were trying to convey with your post. If something is missing from the text, your brain will fill in the gaps. Typos, grammar errors, or sentences that don’t make sense can easily make it through your editing process. To make sure your post is perfect, remember to have someone else look it over. When you’ve finished writing a blog post, your work isn’t done. You need to make sure you haven’t forgotten to do any essential things. When you take the time to make sure your posts are perfect, you can reap the benefits of business blogging. On the other hand, if you forget to do something important, your blog posts could be ineffective or worse. Have you ever published a post and later realized you missed something essential? Share your experiences in the comments below.